We are a non-political organisation, all local residents living in Branksome Park, Canford Cliffs and adjoining areas are welcome. We hold regular meetings on the second Wednesday in the month at St Aldhelms Church Lounge meeting room on Lindsay Road. All members receive an agenda in advance and are encouraged to put forward topics for discussion as well. 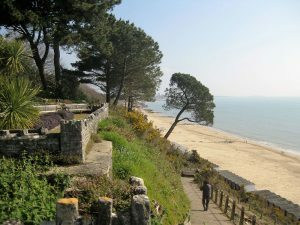 We monitor all planning applications for Branksome Park and Canford Cliffs closely and will make recommendations and objections to the council and developers where appropriate. It is vital that BPCCRA maintains a vigilant eye on matters that may adversely affect the amenities and services we enjoy. By the same token we will lobby to support plans and projects that will serve to enhance and deliver improvements. On occasion, the Government or the Council or a developer may float a scheme that is very controversial. When that happens BPCCRA will form a Steering Group to specifically address that particular issue.